If we had a real democracy, we’d be able to make progress on all the issues that matter so much like fair wages, healthcare, a Green New Deal, and quality education for all – just to name a few. Yet, as long as politicians and elected officials only answer to big money donors, we’ll never have a tax system that can support real progress. Speakers and participants will include Rep. Pramila Jayapal (D-WA), Rep. Barbara Lee (D-CA), Sen. Jeff Merkley (D-WA), Randi Weingarten, Cenk Uygur, Morris Pearl, and many, many more. The #TaxScam passed by the GOP in 2017 was the biggest payoff in history giving away nearly $2 trillion to wealthy donors and corporations – so join us and the Patriotic Millionaires as we take the next steps to fight back! 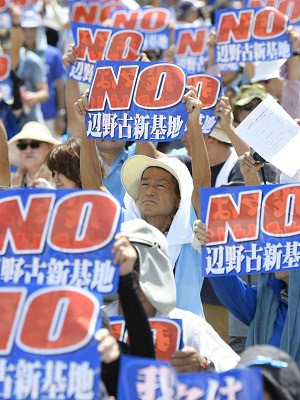 This year the annual meeting of International Network “No to War – No to NATO” will take place in Washington during the counter actions against NATO 70. The meeting is for the member organizations of the network and it is open of course for all peace loving people. 11:20 Discussion of the work of the past 12 months: where we are with the delegitimation of NATO? Discussion about the Washington protest. – Global NATO what to do? Full registration with a networking lunch: $55.00. Reduced rate of $27 available for students and NOW members. 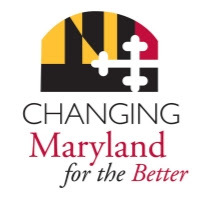 Student groups of 5 or more should contactlinda.mahoney@marylandnow.orgto arrange advance payment and further reduction to $17 per student. The Road to a Green New Deal Tour. Starting in mid-April, thousands will gather for nine massive events with national Sunrise leaders and some of the rising stars in progressive politics. Planning is already in full swing for stops in Boston, Detroit, Des Moines, Paradise, CA, Los Angeles, San Antonio, New Orleans, Richmond, KY, and Washington, DC. Simultaneously, Sunrise leaders will host over 100 Green New Deal Town Halls to share how the Green New Deal will improve the lives of people across the country. We’ll meet in churches, classrooms, and union halls to talk about how this policy will improve our communities, and lay out our path to victory through 2020. If we pull this off, we’ll build the public support needed to ensure that the Green New Deal is at the top of the agenda as we head the 2020 election. But to do that we need your help. Reserve your tickets for the Washington event today. The Koch Brothers and their allies are terrified. They know we’re powerful and that the Green New Deal could successfully unite this country against them. Their think thanks are spreading lies. Their PR machine is in full swing. They’re cronies in DC are parroting it all from the halls of Congress. They’re desperate to erode the incredible, bipartisan support that poll after poll shows for the Green New Deal. RSVP for the Washington Tour Stop. What will win this fight is thousands of people stepping up to go out and take their message directly to their neighbors and communities, even if that’s not something we’ve ever done before. That’s what catapulted the Green New Deal to top of the national agenda in just a few months, even when pundits said there was no way we could do it. We can do it again, but we need people like you to step up. The amazing list of speakers and musicians just keeps growing! 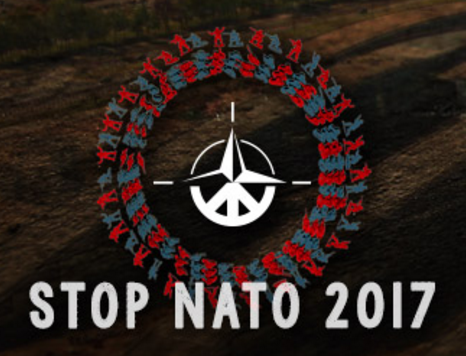 April 3-4, 2019, in Washington, D.C., we’ll celebrate peace and unwelcome NATO! 12:00 p.m. � 4:00 p.m.: Screenprinting for Justicee Workshop with The Sanctuaries DC, and Nonviolent Action Prep with Nadine Bloch of Beautiful Trouble (munch on vegan snacks, make art, and plan for the April 4 protest). If you’re a nonviolent activism trainer and want to help, please fill out this form. 8:00 p.m. � 10:00 p.m.: Spoken word by Eleanor Goldfield and live music by Eric Colville & Ryan Harvey & Megaciph. On Monday, March 18, Reel and Meal will feature The Invisible Vegan, at the New Deal Café, 113 Centerway in Greenbelt’s Roosevelt Center. (The café is accessible by Metro Buses G12, 13, 14 and 16 from the Greenbelt Metro station.) A delicious optional vegan meal ($14.00) at 6:30 PM is followed by the free screening beginning at 7 PM. Please plan to arrive on time due to strong interest in this month’s event. The Invisible Vegan is a 90-minute, independent documentary that explores the problem of unhealthy dietary patterns in the African-American community, foregrounding the health and wellness possibilities enabled by plant-based vegan diets and lifestyle choices. Over the past three decades, coronary heart disease and diabetes have steadily grown as the leading causes of health problems in America, disproportionately impacting the African-American community in particular. This documentary offers both historical and contemporary perspectives on the dietary trends among African-Americans, showing how intertwined histories of slavery, twentieth-century socioeconomic inequalities, and the rise of Big Food have led to the increased consumption and dependence of meat, processed junk, and fast food. Starring Jasmine Leyva, Cedric the Entertainer, John Salley, Stic of Dead Prez and Tracye McQuirter. Antonio Simpson, the Vegan Mechanic, is a plant-based cook that specializes in veganizing many comfort foods to help raise awareness of the fact eating a vegan diet does not have to be all about salads. His goal is to set a good example of eating and making delicious foods and helping others transition. Brenda Sanders is Executive Director of Afro-Vegan Society, Co-Founder of Thrive Baltimore Community Resource Center, and Co-Owner of The Greener Kitchen Vegan Deli. She also organizes large vegan events like Vegan SoulFest, the Vegan Mac ‘n Cheese Championship and the Vegan Street Fair. Brenda works to promote veganism as a solution to many of the issues currently faced by people in marginalized communities. 78-year-old, plant-powered, current ultra marathoner, world-record-setter, Betty Smith, PhD, will introduce the film. 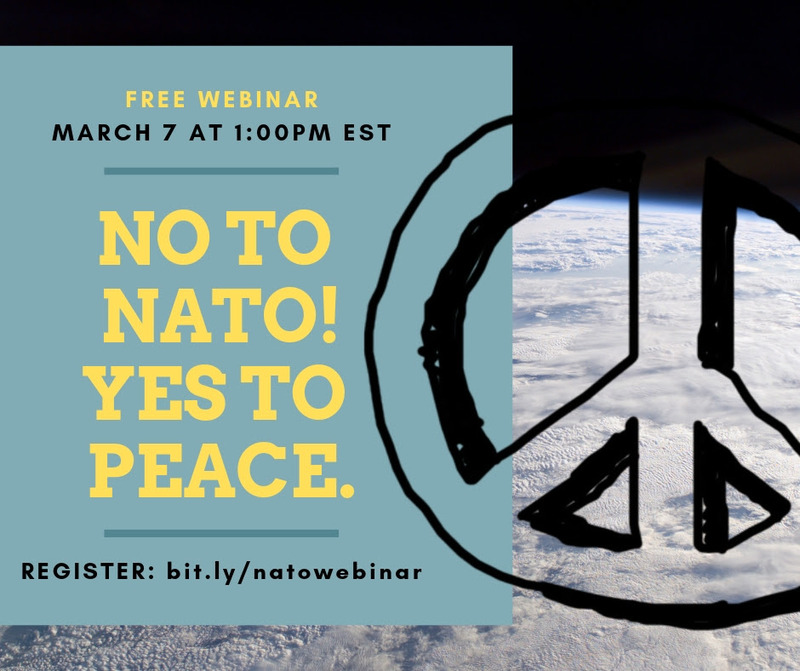 Join us on Thursday, March 7 at 1:00pm Eastern Time to set the record straight about why NATO is not a peace-keeping organization. RSVP for instructions on how to join. The mainstream media paints a false picture that NATO promotes peace, but we know that it has repeatedly violated international law, and bombed numerous countries, including Serbia, Afghanistan, Pakistan, Libya, Bosnia and Herzegovina, and Kosovo. Ana Maria Gower is a Serbian-British mixed media artist and a survivor of the NATO bombings of Yugoslavia and its capital – Belgrade. Being a 10-year-old in a war zone, she witnessed the destruction caused by NATO involvement both during the conflict and for years after. Jovanni Reyes enlisted in the U.S. Army in 1993 and deployed to the Balkans in 1996 as part of NATO’s first ever military intervention, which culminated in the dismemberment of Yugoslavia into six statelets. Jovanni is now the member coordinator of About Face: Veterans Against the War. Kristine Karch is the Co-Chair of the No to War/No to NATO Network, based in Europe. She has organized countless No to NATO panels, counter-summits, and demonstrations to raise awareness about NATO’s destructive impact and the EU’s cooperation with it. Don’t miss this informative conversation with Ana, Jovanni, and Kristine. RSVP to join us. P.S. 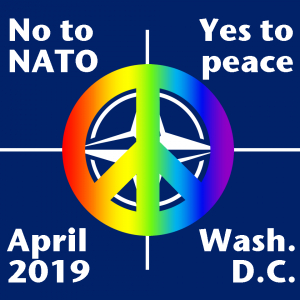 I hope to meet you in person at the No to NATO – Yes to Peace Fest on April 3-4 in Washington, DC, to unwelcome the arrival of the largest military alliance in the world. This webinar is part of our People’s Agenda Webinar Series. By registering for this webinar you will get updates about future webinar events (you can unsubscribe from our email list at anytime). and declared himself president and called for new elections. What stunned many observers was that Guaido’s challenge was backed by most members states of the “Grupo de Lima” (excepting Mexico). The Trump Administration –deep in the midst of its own legitimacy crisis, has joined the fray, even going so far as to threaten military intervention. Join us this Thursday @ 5PM PT / 7PM CT / 8PM ET. We’ve invited a Venezuelan scholar, a Mexican journalist and an renowned anti-war activist to help sort through the tangle of information and disinformation coming our way. Democracy Amendment Resolution in 2019! Watch Online: Can’t make it in person? Sign up here to watch the Summit Online. Why Do We Need a Summit on Iran? The purpose of the Iran Summit is to highlight the Trump administration’s hawkish policies on Iran that could lead us into another war, and examine how to reverse course. We will also have Iranian art, calligraphy, music, photo booth and other cultural activities. Organized by CODEPINK, the cosponsors include: Aboutface Aftab Committee, Black Alliance for Peace, Center for Iranian Diaspora Studies, FEMENA, First Congregational United Church of Christ, Global Network against Weapons and Nuclear Power in Space, Institute for People’s Engagement, Institute for Policy Studies, Iranian Law Students Association of UC Hastings, Just Foreign Policy, Lehigh-Pocono Committee of Concern Peace Center, National Iranian American Council, Nonviolence International, Nuclear Age Peace Foundation, Peace Action, Peaceworkers, Progressive Democrats of America, People Demanding Action, Popular Resistance, RootsAction, United for Peace and Justice, United National Antiwar Coalition, US Labor Against the War, World Beyond War, Voices for Creative Nonviolence, Win Without War, and Women’s International League for Peace and Freedom. Hadi Ghaemi, Executive Director, Center for Human Rights in Iran. 10:10am-10:50am Session II: How U.S. policies affect Iranians? 1:20pm-2:10pm Session V: Iran’s role in the region: Is it the number one state sponsor of terrorism? 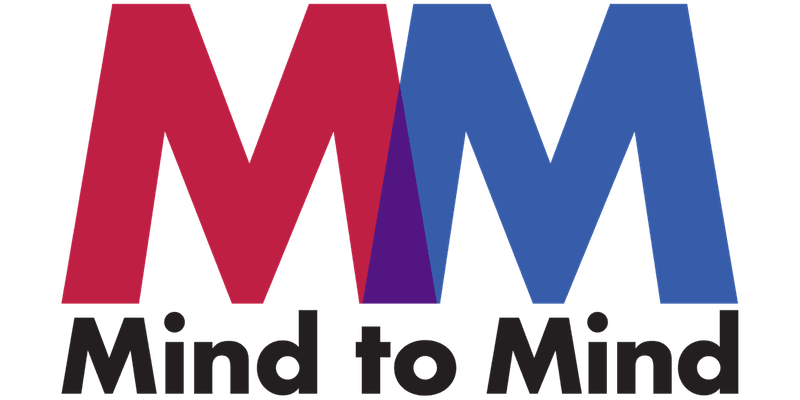 If you’re in the D.C area, you’re invited to attend Mind to Mind, a symposium that brings together the nation’s top academics, journalists, researchers and public policy officials to discuss America’s workforce.Experts will include a mix of attorneys, economists, former public policy officials from OSHA and the department of labor, sociologists and journalists. They will discuss topics including the #MeToo movement in the workplace, abuse in rehab camps, workplace safety at Tesla and Los Alamos laboratory, and the role of federal agencies such as OSHA and OFCCP in protecting American workers and more. The full agenda is here.Speakers include Pulitzer Prize-winning journalists Megan Twohey and Ellen Gabler from the #MeToo team at The New York Times; Patricia Shiu, the former director of OFCCP; Jordan Barab, former associate director at OSHA; Bernice Yeung from ProPublica; Louise Fitzgerald from University of Illinois; Fatima Goss Graves from the National Women’s Law Center; and Amy Julia Harris, Shoshana Walter and Will Evans from Reveal. Full list here. Reveal from The Center for Investigative Reporting has spent the last few years reflecting on how academics, researchers and journalists can work together. We’ve learned that journalists and academics have many things in common: Both generally care about making a positive social change, bringing accurate information to the public and pushing the boundaries of what’s known to humanity. Yet they tend to work in parallel universes. When they have collaborated, they’ve managed to tell complex stories with enormous impact. We started this conversation last year at Stanford University with great success. This year we’re excited to bring Mind to Mind to the East Coast in partnership with American University’s School of Communication and The Investigative Reporting Workshop. We’ll delve into what academics and journalists can learn from each other, the challenges in working together and how to make collaborations happen. Come join us at American University on Oct. 12, 2018. Space is limited, so please sign up as soon as you can. If you need financial assistance with tickets, email mfeldman@revealnews.org for a comp code. DC on Saturday, September 22. Evans-Ford, Rev. Ray East, George Martin, Shane Claiborne, and Rev. John Dear. Don’t miss what will surely be a seminal conference: Four great speakers and outstanding workshops. Come join us as we strategize on how to work together in Maryland to reduce the threat of nuclear war. Ray Acheson, Director, Reaching Critical Will/Women’s International League for Peace and Freedom.Conference cosponsors: Anne Arundel Peace Action, Peace Action Montgomery, Maryland United for Peace and Justice, National Lawyers’ Guild/MD, Prince George’s Peace and Justice Coalition, Chesapeake Physicians for Social Responsibility, Baltimore Peace Action, Baltimore Quaker Peace and Justice Committee, Howard County Peace Action, Bethesda Friends Meeting, Baltimore Nonviolence Center, Progressive Democrats of America/MD, and many others! If you can be in Washington on October 2nd, please sign up for these free events on theWorld BEYOND War website and/or on Facebook (neither one is required; both are helpful). Click here to read and sign a letter that we’ll deliver to Trump on October 2nd. To help fund this campaign to end a war, including the expenses of the events below, which we’re planning for Washington D.C. on October 2, and from which we’ll be producing video, please click here. If you’d like to help film video, please contact us. 12 noon rally in front of the White House. 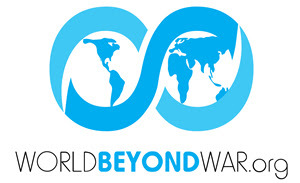 If you can be in Washington, sign up for these free events on the World BEYOND War website and/or on Facebook (neither one is required; both are helpful). On the threshold of the pivotal fall elections, Campaign Nonviolence is organizing 2,000 public actions nationwide September 15-23 calling for a culture of active nonviolence. The centerpiece of this Week of Actions will be The Moment of Truth – The Campaign Nonviolence Convergence September 21-22 in Washington, DC. On September 21, we will gather, reflect and prepare. On September 22, we will assemble at the Martin Luther King, Jr. National Memorial, march to the White House, vigil, and take nonviolent action. As we mark the 50th anniversary of the assassination of Martin Luther King, Jr., we will march in the spirit of the prophetic declaration he made the night before he was killed: “The choice is no longer violence or nonviolence; it’s nonviolence or non-existence.” In this moment of truth, we will call on the nation to choose a culture of nonviolence free from war, poverty, racism, and environmental destruction. Now is the moment of truth for taking action – and for recommitting to the power of truth itself, in light of the many false or misleading statements made by the administration. On September 22, we will take action for peace, economic equality, racial justice and environmental healing – and for a new spirit of truth and nonviolence. Speakers will include Lisa Sharon Harper, Rev. Lennox Yearwood, Jr, Kit Evans-Ford, Rev. Ray East, George Martin, Shane Claiborne, and Rev. John Dear. Join us in Washington at this critical moment of truth. 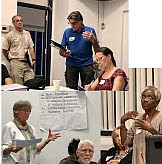 Location: The Festival Center, 1640 Columbia Rd., NW, Washington, D.C.
4:00pm – 5:30pm: Nonviolence training by CNV with Ken Butigan and Veronica Pelicaric. Free. Dinner available for purchase at The Potter’s House restaurant and bookstore next to the Festival Center. 7:00 pm: Gathering at The Festival Center to celebrate, reflect and share stories on five years of the Campaign Nonviolence movement and discuss next steps. Speakers include CNV leaders Rev. John Dear, Ken Butigan, George Martin, and Kit-Evans Ford. Free-will donations accepted at the door. 9:00 am: Rally at the statue of Rev. Dr. Martin Luther King, Jr., on the Southside of the Lincoln Memorial, near the Jefferson Memorial Tidal Basin. 10:00 am: Silent March. We will line up in pairs holding signs and walk in silence from the Dr. King statue past the Lincoln Memorial to the front of the White House, where we will stand in silence with signs in Lafayette Park. While some keep vigil in front of the White House, others will participate in nonviolent direct action. Registration: Sign up on the top right form. 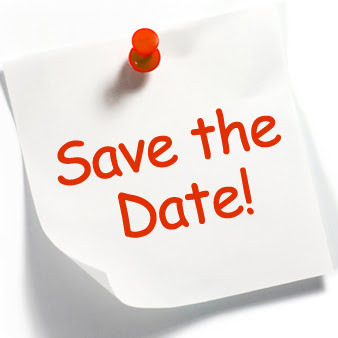 Please let us know which events you will join and how to contact you. Please note: CNV is not coordinating lodging or transportation. This convergence is taking place during the 5thCampaign Nonviolence Week of Actions September 15-23, 2018. Be sure to hold your event locally earlier that week, then join us in DC! Together in this Moment of Truth, we choose the way of nonviolence and we will take our message to the White House and the nation. Together, our collective actions and voices are calling for an end to the culture of racism, poverty, war, and environmental destruction, and making the choice for nonviolence, peace and truth. For more information, contact Ryan Hall at Pace e Bene, at info@paceebene.org. Friday Evening Gathering Location: The Festival Center, 1640 Columbia Rd., NW, Washington, D.C.
Saturday Morning: DC March beginning at the MLK Statue (1964 Independence Ave SW, Washington, DC 20024 near West Basin Dr. SW), then walking to Lafayette Park. 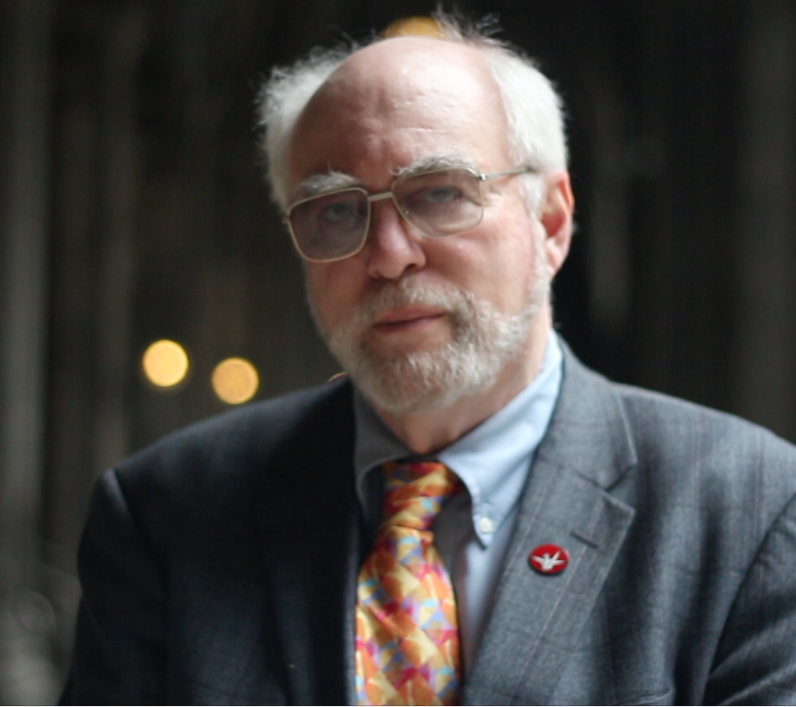 Celebrate 20 Years of Open Society Institute! Tuesday, September 25, Baltimore Museum of Art. Cocktail Reception, 6 p.m., program 7 p.m.
Join Open Society Institute-Baltimore for the second of three inspirational events marking our 20th anniversary. Barbara Mikulski served as a United States Senator from 1987 to 2017 and a member of the House of Representatives from 1977 to 1987. She is the longest-serving woman in the history of the U.S. Congress, as well as the longest-serving senator from Maryland. Currently, Senator Mikulski is a professor of Public Policy at Johns Hopkins University. We will present “Strategic Action” awards to Caryn York,executive director of the Job Opportunities Task Force, and Ray Kelly, CEO of the No Boundaries Coalition, recently named recipient of Pax Christi International’s 2018 Peace Award. There will also be performances by drummer, educator, and 2015 Community Fellow Menes Yahudah and students from Writers in Baltimore Schools, founded by 2008 Community Fellow Patrice Hutton. Fri., Sept. 21—4:30 pm: Nonviolent Action Training. 7:00 pm: Gathering for an evening of reflection and sharing. 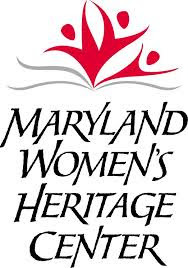 Both events at The Festival Center (1640 Columbia Rd., NW). Mark the International Day of Peace and prepare for action the next day. $15 Donation recommended (not required). All lodging and transportation is the responsibility of the participant. Sat., Sept. 22—9:00 am: Rally at Martin Luther King, Jr. Statue near the Lincoln Memorial; Silent Walk to the White House; those led by conscience will engage in nonviolent direct action. Join JVP DC as we delve into the importance of Palestinian self-representation and the power dynamics inherent in storytelling. We’ll gather our resources to help make this important festival, which showcases the range and complexity of Palestinian identities and narratives, possible – and at the same time, we’ll learn more about why Palestinians are reclaiming space to tell their own stories. The program will include a short film screening and a discussion moderated by DCPFAF Managing Director Nusayba Hammad and Co-Director and Head Curator Michael Kamel. Grab your sliding-scale ticket to the fundraiser and then save the date for the festival. #DCPFAF18, running October 1-7, is themed “Threads of Resilience” and will look ahead to the future, inviting young, emerging Palestinian artists and filmmakers to imagine Palestine 10, 20, and 200 years down the line. June 23 is the conclusion of the 40 days of nonviolent action, initiated by the Poor People’s Campaign. Every week since May 14, the campaign has highlighted a different issue related to what Martin Luther King Jr. called the “3 evils” – racism, poverty, and militarism – plus ecological devastation. Now join us for the concluding mass rally tying all of these issues together on Saturday, June 23 in Washington, D.C.! When: Saturday, June 23 at 10:00 a.m. to 2:30 p.m.
Where: National Mall, Jefferson Drive SW and 7th St. SW, Washington, D.C. Bus transportation is available from many locations.Find a ride near you! But it’s been fifty years, and there are 60% more people living under the poverty line than in 1968, the Voting Rights Act has been dismantled, the military budget is the highest it’s ever been, and communities across the nation still lack basic access to clean drinking water and proper sewage treatment. We need your help moving this country forward by seizing the nation’s attention. Let’s pack the National Mall this June 23, and demonstrate unprecedented grassroots strength. Rally with us in D.C.! POOR PEOPLE’S CAMPAIGN MASS MEETING ON FEB. 19TH IN WASHINGTON, D.C.
At this time of intensifying political, economic, and moral crisis, with the lives of the most vulnerable and the spirits of all under vicious attack, people in growing numbers around the country are fighting back for their lives, communities, and deepest values. Fifty years ago, the Rev. Dr. Martin Luther King called for a Poor People’s Campaign to begin a “revolution of values” in America. We are reigniting these efforts to unite the poor, disenfranchised, and marginalized to transform our nation’s political, economic and moral structures of our society. 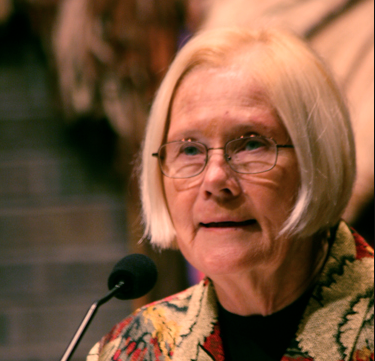 Learn more about the Poor People’s Campaign: A National Call for Moral Revival by joining campaign co-chairs the Rev. Dr. William J. Barber II and Rev. 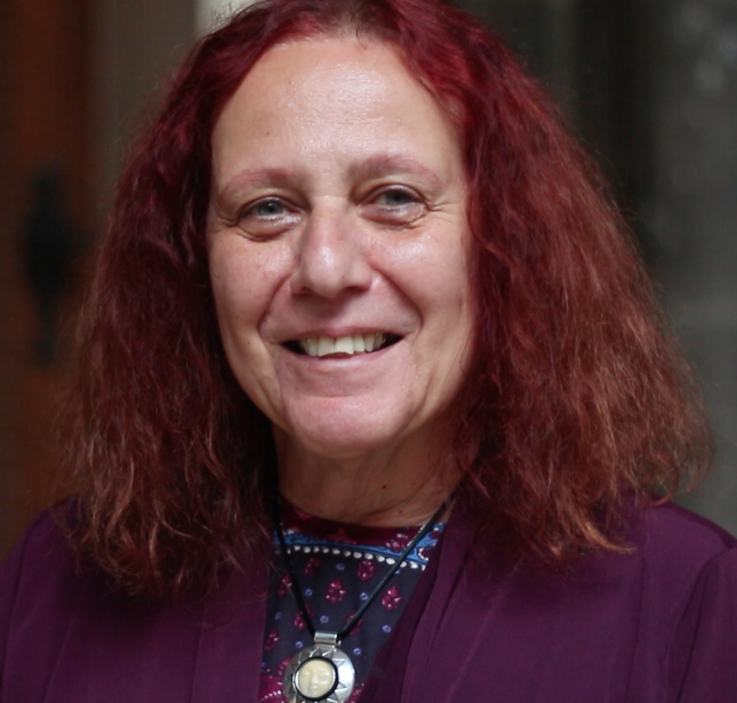 Dr. Liz Theoharis to hear faithful reflection and public action on moral issues through storytelling, music, and interviews with local community organizers and impacted people. If you can’t be there in-person, watch the livestream at 7pm ET/5pm PT on our website or Facebook. Sunday, January 21, 2:30-4:30 p.m. The Rev. Stephen A. Tillett, president of the Anne Arundel County Branch of the NAACP, heads a panel on ethnicity, social-economic realities and implications for democratic governance. Join in this important discussion and learn about ways you can help to restore representative democracy and secure voting rights for all citizens. Tillett will sign copies of his book, Stop Falling for the Okeydoke: How the Lie of ‘Race’ Continues to Undermine Our Country. This event coincides with the eighth anniversary of the U.S. Supreme Court’s infamous ruling in Citizens United v. FEC, which effectively abolished limits on corporate and wealthy special interest election spending. Presented by Get Money Out-Maryland (www.getmoneyoutmd.org). Join us on Feb. 5 in Washington, D.C. for a very important regional Mass Meeting for the Poor People’s Campaign: A National Call for Moral Revival. If you can’t be there in person, you can watch online via the Repairers of the Breach website. The call for a Poor People’s Campaign: A National Call for Moral Revival has emerged from more than a decade of work by grassroots community and religious leaders, organizations and movements fighting to end systemic racism, poverty, the war economy, environmental destruction, and related injustices and to build a just, sustainable, and participatory society. We draw on the history, vision, and unfinished work of the 1967/68 Poor People’s Campaign. Our social fabric is stretched thin by widening income inequality. Politicians criminalize the poor, implementing policies rooted in systemic racism and xenophobia to divide us. They steal from the poor to give tax breaks to the rich, and budget increases to a bloated military. At such a time as this, we need a Poor People’s Campaign for Moral Revival to help us become the nation we’ve not yet been. I will be co-serving the Mass Meeting in D.C. on Feb. 5 with the Rev. Dr. Liz Theoharis and local participants of the campaign. Click here for more information and to RSVP online. Which issues should MUPJ members and friends focus on for next year? Our mission: MUPJ will bring together organizations and individuals from across Maryland to build relationships and make meaningful progress towards peace and justice. Our vision: Our purpose is to: 1. promote coordination and networking 2. facilitate cooperation among peace and justice organizations and individuals on issues of common concern 3. encourage and support nonviolent means of resolving problems and conflicts 4. promote education and action for peace, justice and democracy and a healthy environment by members and the public 5. encourage members’ participation and sharing in decision-making and leadership. 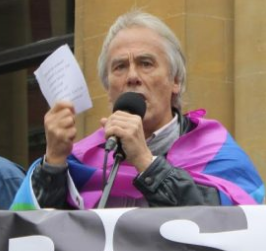 David Swanson is an author, activist, journalist and radio host. 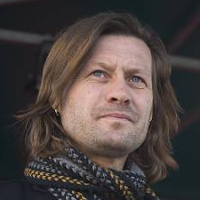 He is director of WorldBeyondWar.org and campaign coordinator for RootsAction.org. Swanson’s books include War Is A Lie & When the World Outlawed War. He hosts Talk Nation Radio and is a 2015, 2016, 2017 Nobel Peace Prize Nominee. Sponsors: Maryland’s local Peace Action groups are joining together to enhance our power state-wide, under the name Maryland Peace Action: Anne Arundel County Peace Action, Howard County Peace Action, Maryland United for Peace and Justice, Peace Action Montgomery, and Peace and Justice Coalition of Prince George’s County. Contact: Jean at 301-570-0923 for more information. Why you should come: Scared by USA Commander in Chief? Find out how you can strengthen the voices demanding peace. You don’t want to miss hearing this extraordinary activist and brilliant speaker. And be sure to invite your friends. We convened with about 65 participants at 7 p.m. at the Laurel Boys and Girls Club meeting room after a generous potluck dinner.After a welcome by LBGC president Adrian Rosseau, our facilitator Jerry McLaurin introduced Del. Darryl Barnes. Del. Barnes invited MAJR members to attend the annual Legislative Black Caucus public meeting this Saturday, 9/30/17. He also commented on the unfairness of Maryland’s old money-bail system. He suggested that legislators may wish to make changes to the current Rule, but he added that any major reforms may be difficult in 2018, which is an election year. Jerry explained the format for our general meeting and introduced the chairs of our Front Door, Behind the Walls, and Back Door workgroups. His introduction was followed by 45-minute breakout sessions that gave the opportunity for more detailed discussions for those interested in each area. Chairs then reported on the priorities identified by workgroups. Learn about those priorities. Read the brief minutes of this meeting. We successfully passed the Maryland Fair Access to Education Act of 2017 (Senate Bill 543/House Bill 694) with substantial majorities in the House and Senate. The bill removed the arrest/conviction question from initial college applications to allow applicants to be assessed first on academic merit alone (the question could still be asked later). But at the end of the session Governor Hogan vetoed the bill. Now, we must come together to override the veto!!! Everyone deserves a chance to attend college. And we know that keeping returning citizens from furthering their education does not increase public safety – it just makes it harder for people to access opportunities and support themselves. First, you can sign the petition. 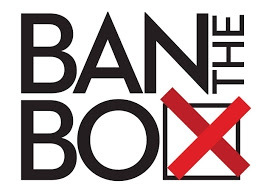 Then mark your calendar for the Ban the Box on College Apps Rally on October 7th! The rally takes place at 3400 N Charles St, on the grass at Hopkins campus, from 11am – 2pm, sponsored by Job Opportunities Task Force, Out For Justice and From Prison to PHD. Work with a new committee and your Maryland District 20 delegation to help stop putting so many Black and Brown people in prison. Specific subcommittees so far on Expungement clinics and on restorative practices in the schools. 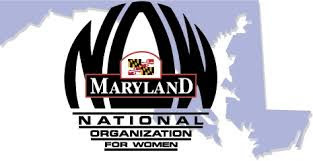 And, there to work with us will be Senator Will Smith, Delegates David Moon and Jheanelle Wilkins, as well as candidate for delegate Lorig Charkoudian of Community Mediation Maryland, all of whom have already been working hard on this issue. 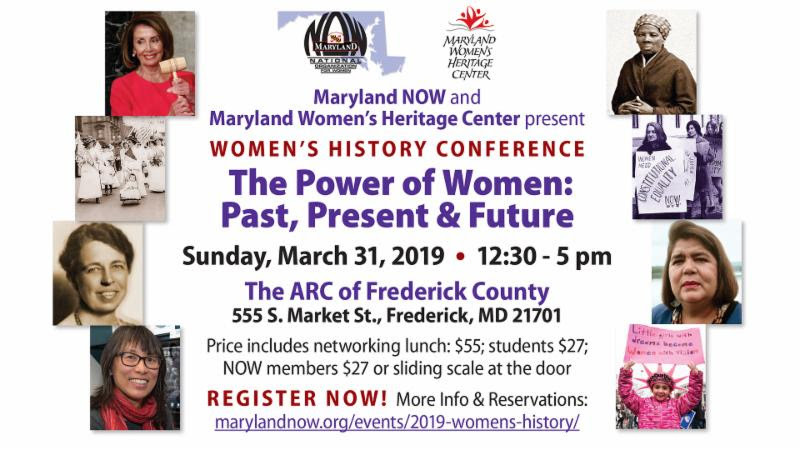 For those of you who live in Maryland District 20 (Montgomery County) MAJR urges you to attend! The Local Government Justice Reinvestment Commission held its first meeting on August 30, 2017, and several of MAJR’s monitors were in attendance and listening closely. The commission is established by law to oversee allocation of state funds saved by reducing unnecessary incarceration. The Justice Reinvestment Act (JRA), which authorizes its work, goes into effect on October 1, 2017. Throughout the meeting, the critical need for local involvement was emphasized. Local government, in partnership with the Justice Reinvestment Oversight Board, will be led by Local Government Justice Reinvestment Coordinating Councils. Local involvement must include provision of data and reporting of needs. It should enable sharing of successful programs and strategies and report local needs. Don Hogan, Chief of Legislation & Justice Reinvestment in the Governor’s Office of Crime Control and Prevention, noted that the state cannot expect to see meaningful savings for justice reinvestment from implementation of JRA until 2019, but he pointed out that the prison population is now approximately 19,000, down from the all-time high of 24,000 (and from 22,000 in 2014). The chairman, Robert Green, noted that the average delay between the request for treatment and the provision of inpatient services is now down to 55 days where it had been 101 days. He asked the commissioners to provide data about what is going on in local jurisdictions. Please check out the full report! Marylanders to Prevent Gun Violence, the Episcopal Diocese of Maryland, and Mothers of Murdered Sons and Daughters will recognize Baltimore’s Ceasefire weekend (August 4-6) with a Peace March to honor all the lives lost and hurt by gun violence. Baltimore Ceasefire Weekend was created by six women in Baltimore who decided that if their leaders weren’t going to address the ever-growing violence in our city, they would. They are calling on members of the community to take the Baltimore Peace Challenge and devote themselves to non-violence during that 72 hour period. Please meet us in the parking lot of Frederick Douglas High School (2301 Gwynns Fall Parkway, Baltimore, MD 21217). The rally for peace will begin at 9 am followed by a march at 9:45 am. Please join Marylanders to Prevent Gun Violence as we welcome Washington Ceasefire to Washington, DC. 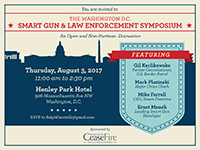 Washington Ceasefire – MPGV’s 34 year counterpart in the Pacific Northwest – is coming to The District of Columbia on August 3rd to host a Symposium on SMART Guns and Law Enforcement. If you would like to join us at this free event, please email Ralph Fascitelli at ralphfascitelli@gmail.com and tell him you are an MPGV member who would like to attend the conference. Please join the UNA-NCA’s Sustainable Development Committee for a program on The Refugee Crisis: Dispelling Myths and Misconceptions, on June 21, 2017 and hear first-account stories from refugees along with a moderated panel discussion. This event seeks to dispel the associated myths and misconceptions and will highlight personal accounts of past and present refugees in the local Washington, DC area drawing on the diverse perspectives of the Asian, African, and Middle Eastern communities. The program will also look at the current situation as addressed by the United Nations Sustainable Development Goal #16 (Peace, Justice, and Strong Institution) drawing on the past and present policies and actions taken at the local, national, and global levels. Since the inauguration of President Trump in January 2017, refugees and other displaced persons have witnessed an increase in negative perceptions of their presence in the United States most notably after Executive Order 13769. Despite the blocking of this travel ban through federal judge Derrick Watson, mainstream Americans continue to hold insufficient knowledge on the circumstances pertaining to refugees and other displaced persons. This event is open to the public and free for students as well as UNA-NCA members. Feature film I Learn America about the struggles of teenage immigrants. In this 2013 film directors Jean-Michel Dissard and Gitte Peng portray five recently arrived immigrant teenagers as they attempt to create a future for themselves in a new country. They follow the young immigrants during a year at their American high school. The young people struggle not only with the challenges of being teenagers but also with the fear of deportation, learning English and homesickness. Three of them are undocumented, one is a refugee and one is a devout Muslim. What kind of future can they count on, if they have no papers? How can they form a personal identity, if they are torn between two cultures, between a Pakistani heritage, for instance, and life as an American woman? How do they overcome isolation, if their English is poor? The film helps us understand how hard it is to be an immigrant, even if you left your country because of civil unrest and war. Julio Murillo, Policy Analyst at CASA’s SOMOS Langley Park Initiative, will lead the discussion. 70% of Langley Park residents are foreign-born, principally from Central America. CASA strives to improve the quality of life for Langley Park families and children by focusing on schools, affordable housing, a living wage and affordable healthcare. We will discuss what we can learn from CASA in Langley Park to help ease the path of our own local immigrants. The Prince George’s County Peace & Justice Coalition has planned this program. For more information contact Donna Hoffmeister at 301-441-9377 or justpeacepg@earthlink.net. You can also go to the New Deal Cafe website. The other local grassroots sponsors of the series are Beaverdam Creek Watershed Watch Group and Green Vegan Networking. The New Deal Café is accessible from Greenbelt Metro station by buses G12 and G14. build happier, more peaceful relationships. gives voice to all parties in the conflict. The workshop will describe how this approach arose in the US and in the MD/DC/VA area. Jane Connor McMahon, Ph.D., certified life and career coach; practices Nonviolent Communication and Restorative Justice in Prince George’s County & D.C. public schools. She is co-author of the book Connecting across Differences: How to Connect with Anyone, Anytime, Anywhere. Bob McMahon, Ph.D., civil rights activist; participant in Nonviolent Communication leadership program; advocate of Restorative Justice. The 15th Annual Tour Dem Parks. Today, US troops and their NATO allies regularly play “war games” along the Russian border, which are experienced as military provocations. One small accident or miscalculation there could lead to the war we all fear. NATO and the US have waged war together in Serbia, Iraq, Afghanistan, Iraq and Libya and today, the U.S., Britain, France and Turkey – all members of the NATO alliance are at war in Syria. President Trump’s erratic stance on NATO has caused further tensions and great unease across an already volatile Europe. The coercive push from United States for European countries to increase their military budgets at the expense of public programs is intensifying existing social pressures emanating from austerity, wealth disparity, war-refugee migration, and aggressive nationalism. Today’s NATO is more likely to start an international nuclear catastrophe than prevent one, which is why NATO must be stopped! Last year’s summit and counter-summit were held in Warsaw. This year, the meetings will be in Brussels, Belgium, the capitol of the European Union. CLICK HERE TO RSVP FOR UFPJ’S NATIONAL BRIEFING CALL! Saturday, May 13th 2017. Love Thy Neighbor. May 13th 2017 – United Not Blighted Action! The Committee for Peace and Justice in Israel/Palestine (CPJIP) is sponsoring a talk and discussion about Boycott, Divestment and Sanctions (BDS). Free parking in the church parking lot, behind the church. BDS co-founder, Omar Barghouti will be the featured speaker. Barghouti, a pro-justice Palestinian, is a noted human rights defender. He holds bachelor’s and master’s degrees in Electrical Engineering from Columbia University, NY, and a master’s degree in Philosophy (ethics) from Tel Aviv University. His commentaries and interviews have appeared in the New York Times, the Washington Post, the Financial Times, Newsweek, the Guardian, Politico, and on BBC, Bloomberg TV, MSNBC, CNN, among others. On Sunday April 23rd, Barghouti along with Ralph Nader were recipients of Gandhi Peace Awards in New Haven, Connecticut. Immigrants’ rights partners are organizing nationwide rallies on May 1 to support immigrants and resist Trump’s deportation machine. 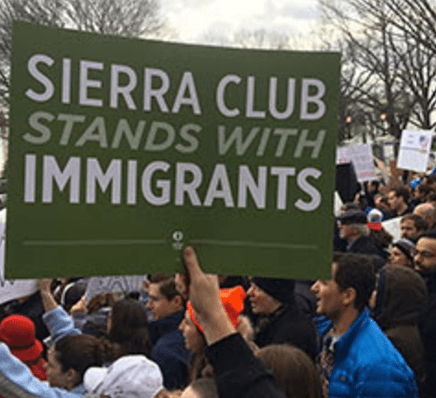 At our partners’ invitation, the Sierra Club is supporting the rallies to make clear that a broad, diverse movement stands united in resisting Trump’s anti-immigrant policies. The day of action is part of a coordinated weekend of resistance that includes the People’s Climate March on April 29. Two days after you show up to protest Trump’s attacks on our climate take a stand against Trump’s attacks on immigrant families, who often disproportionately bear the brunt of climate change. Find a rally happening near you! While US involvement in the official global climate science conversation has come to a halt under the new administration, everyday citizens refuse to deny facts or be silenced. On April 22nd people around the world will gather for teach-ins, rallies and marches in support of science, research and evidence based policy. On April 29th folks will gather in DC and locally in support of climate, jobs, and justice. Between these events Prince George’s County Resist Coalition will contribute to the climate science discussion by hosting a talk with author, scholar and activist, Ross Salawitch. We hope you will join us! Ross Salawitch is a Professor of Atmospheric Sciences at the University of Maryland, College Park. His research activities focus on quantifying the effect of human activity on the ozone layer, air quality, and global climate. He recently authored a book, Paris Climate Agreement: Beacon of Hope that can be downloaded for free here. He serves on the Maryland Department of the Environment Air Quality Control Advisory Council, is a review editor of the Climate Science Special Report being written by the United States Global Climate Research Program, and is an author of the Decadal Survey for Earth Science and Applications from Space report being written by the National Academy of Sciences. He is also deeply involved with various grass roots community efforts to increase the use of renewable energy and reduce our dependence on fossil fuels. Prince George’s County Resist Coalition consists of 16 grassroots organizations including: 4th and 5th District Resistance, Bridges Not Walls – Cheverly, Brothers and Sisters For Action – Indivisible, Greenbelt Indivisible, Hear us Hogan, Historic Laurel Huddle, Hyattsville Area Huddle, Hyattsville Area Residents for Progress, Maryland United for Peace and Justice, Mt. Rainier/Brentwood Organizing Committee, Not on Our Watch, Our Revolution Route 1, Prince George’s Organizing for Action Climate Change Team & Progressive Cheverly. Nowruz, the Iranian New Year, dating back to 15,000 years ago, celebrates the coming of spring. Free parking behind the restaurant. No Nowruz would be complete without an offering of the ecstatic Sufi poetry of Jalaluddin Rumi; we’ll be reading in both Farsi and English. Our afternoon will conclude with an Interfaith Peace Circle for participants to offer their prayers and thoughts for peace and renewal. Please preregister so we know how many people to expect and please sign up to bring something to share at the potluck. Doors open at 2:45 pm. 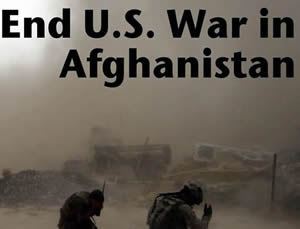 14th Anniversary of US Invasion of Iraq – Stop Endless War! No matter how many times we’re told “mission accomplished” the U.S. war and occupation of Iraq continues to this day. Many other conflicts in the region are a direct result of the 2003 invasion. Host a protest, vigil or meeting to mark the 14th anniversary. Resist endless war. Sign the petition to resist war and militarism. Sign the Peace Pledge to Resist War and Militarism! Soon, governments from around the world will return to the United Nations in New York City to initiate negotiations on a new treaty banning nuclear weapons. 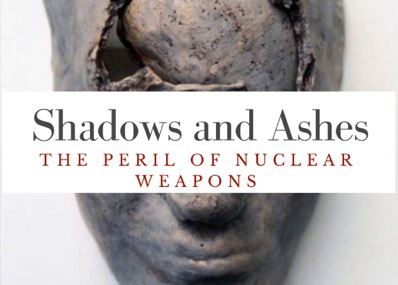 Peace advocates will be organizing inside and outside of the UN to put pressure on nuclear armed states and to support the majority of countries that genuinely seek the total abolition of nuclear weapons. Keep up with events and list your own with Reaching Critical Will. In confronting the deeply rooted racism, militarism and materialism of his home country, Dr. King described the United States as the greatest purveyor of violence in the world. Delivered to an overflow crowd at the Riverside Church in New York City on April 4, 1967, Dr. King’s challenge to engage in a radical revolution of values encountered ferocious opposition. Join or organize a reading of the “Beyond Vietnam” speech in your community to fuel your efforts for social justice and add your events to our calendar. This Tax Day, April 15, join or host a demonstration in your community. Unite around new priorities, protest the war-economy, and promote policies based on peace, diplomacy, and funding human needs. This year’s Global Days of Action Against Military Spending span U.S. tax day to the release of the annual world military expenditure figures by the Stockholm International Peace Research Institute (SIPRI). Add your events to our calendar. The mischaracterization of science as a partisan issue, which has given policymakers permission to reject overwhelming evidence, is a critical and urgent matter. It is time for people who support scientific research and evidence-based policies to take a public stand and be counted. The March for Science is an international movement with marches being planned in Washington, DC, across the United States and internationally. Find a march near you. Throughout the first 100 days of the Trump presidency, the People’s Climate Movement is organizing a country-wide arc of action, culminating on April 29th in Washington DC in a powerful mobilization to unite all of our movements. Prepare to attend the mass mobilization in DC or attend a sister march in your area. 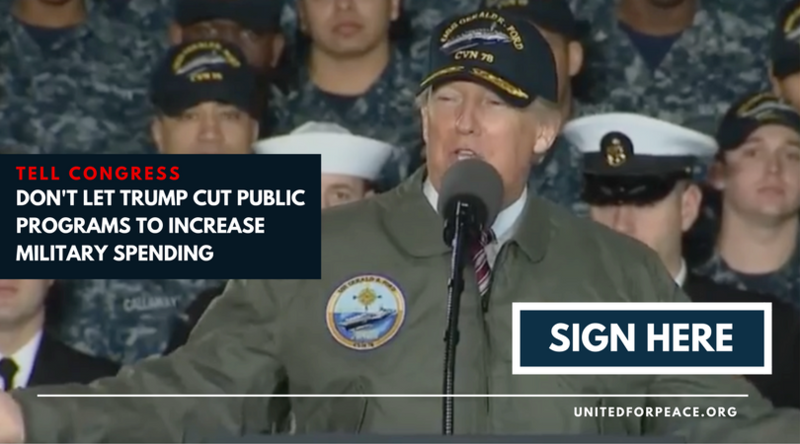 We must remind the world that the U.S. military is one of the biggest carbon emitters in the world and greatly contributes to climate change. Please check out our updated Peace Pledge, and add your name if you haven’t already done so. 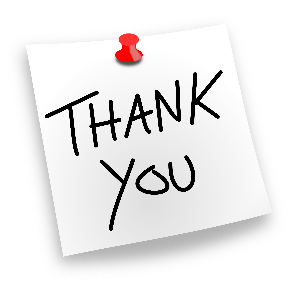 Thank you for keeping the pressure on. When we work together and build our movement, we can win.